The majority of the Sarasota city commissioners agreed this week that they would like for an outside “headhunting” firm to work with the city’s Human Resources Department in finding candidates for the position of city auditor and clerk. 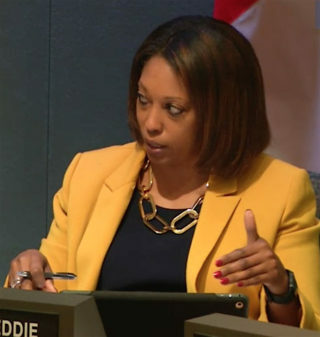 During their regular meeting on March 4, they asked that Stacie Mason, director of the Human Resources Department, draft a scope of work reflecting that decision and bring it back to them for review. Mason also is to check on the estimated expense of hiring a company to undertake widespread recruiting efforts, and she is to report to the commission about the employment package she would propose for a new city auditor and clerk, including the salary range. The last two times the city used search firms to recruit for high-level positions, Mason told the board, were in 2007 and 2012. The expense for the former assistance was $20,000, she said; for 2012, $21,500. “I would speculate we’re looking anywhere from $20,000 to $30,000 or maybe even $35,000,” Mason added, if the commission wanted an executive search firm to handle the full process this time. On another point during the discussion, the majority of the commissioners also seemed to agree on organizing just one panel to interview applicants, to determine the finalists who would appear before them. Mason had suggested one panel of city employees — including City Attorney Robert Fournier — and then a second panel of subject matter experts, comprising area clerks, to vet the applicants. Mason stressed on March 4 that the materials candidates will see will underscore the fact that Florida’s Sunshine Law will make it necessary that all names of applicants will become a matter of public record. While the panel interviews would not have to be televised, she added, those sessions would be open for anyone interested in attending them. Only Commissioner Willie Shaw indicated an unwillingness to move forward right away with the process to replace Nadalini. The commission formally fired Nadalini in mid-January following an investigation by two members of the Shumaker, Loop & Kendrick law firm in Sarasota. The board had hired that firm, on Mason’s recommendation, to look into allegations raised over the years that Nadalini was verbally abusive of employees in her office and that she took retaliatory actions against staff members which whom she became displeased. Shaw pointed out during the March 4 meeting that he felt he and his colleagues should wait longer before beginning the hunt for a new city auditor and clerk. He also indicated that Interim Clerk Shayla Griggs might prove to be the best person to hold the job on a permanent basis. 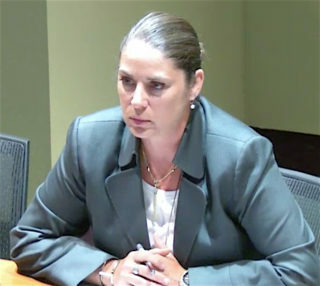 During the discussion, Commissioner Shelli Freeland Eddie also questioned Mason about the process the board had sought in the wake of the Nadalini firing: a revision of the contract for Charter officials, including new stipulations about their supervision, the handling of any grievances lodged against them and the steps leading to termination. Freeland Eddie referenced recommendations the Shumaker Loop team made in conjunction with its investigation into the allegations against Nadalini. Freeland Eddie added that she did not want any contract dispute to arise after the commission hires a new auditor and clerk. Mason responded that she and City Attorney Fournier will work on revising the employment contract for commission review and a decision. They have discussed that initiative, Mason continued, but they have not yet scheduled a meeting on the matter. Fournier told Shaw that Fournier’s recollection from earlier board discussions was that he and Mason would propose new contract language, which would come back to the board for review. “What you ultimately do with it is up to the commission,” Fournier said. During her opening remarks on March 4, Mason explained that one major advantage of hiring a firm to conduct a search for the new city auditor and clerk is that such companies “have a database; they have a network” that enables them to find a wide variety of appropriate candidates. Conversely, she said, if the city were to advertise the position on its own, some potential applicants might not learn of the job opening. Vice Mayor Jen Ahearn-Koch was the first commissioner to ask whether the board could pursue a hybrid approach, with the executive search firm seeking a broader array of candidates and then the Human Resources Department staff handling the vetting process, including background checks. “I do feel pretty strongly that we need not exclude any potential candidates,” Commissioner Hagen Brody said. In drawing up the scope of work, Freeland Eddie suggested, Mason could make it clear the responsibilities of the outside firm and those of city staff. Then the commissioners discussed potential qualifications for the job. Ultimately, Freeland Eddie said, “I don’t want us to get into the position of making a big decision based on emotion,” instead of what she characterized as “best practices,” reflecting hiring based on a person’s educational background and appropriate certifications, as well as the person’s handling of himself or herself during the panel and commission interviews.